With the 2019 NFL Draft quickly approaching, it is a good time to look back at their past several draft classes evaluate how they panned out. 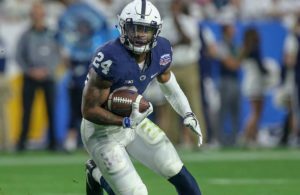 Grade Analysis: Given that the 2018 draft class has only had one year to prove themselves, it is a bit to early to put a grade on it. Based on that one season however, there were some performances worth mentioning. 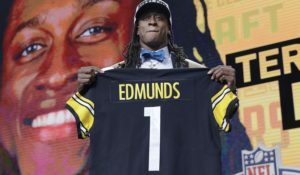 Their first round pick, Terrell Edmunds, played more snaps than anyone on the Steelers defense last season. Predictably, he had some growing pains, but he held his own for the most part as most of his issues appeared to be mental errors. James Washington for the most part was a disappointment. 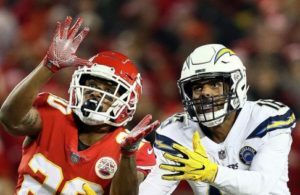 He was expected to step in as the third wide receiver, but instead he spent most of the season as the fourth or fifth due to inconsistencies. The best performances likely came from their sixth round pick, Jaylen Samuels. 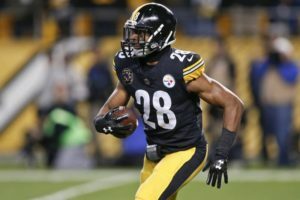 With Le’Veon Bell sitting out the year, Samuels served as the number two running back behind James Conner for much of the season. With Conner missing time late in the year, Samuels stepped up big, especially when he came through with a 172 yard performance against the New England Patriots. While the jury is still out on this class, there were many positives after their first season. Grade Analysis: This class only has two years under its belt, but there are several players who have already made a sizable impact. Out of this class there are already three players who made appearances in the NF Pro Bowl, TJ Watt, JuJu Smith-Schuster, and James Conner. Watt’s presence was felt early, as he started 15 games as a rookie, and notched 7 sacks that season. He upped the ante in year two, as he nearly doubled his sack total with 13. His constant presence around the quarterback helped take some pressure off of the Steelers secondary. Smith-Schuster also made his presence felt as a rookie, as he recorded over 900 receiving yards and 7 touchdowns. He, like Watt, also upped the ante in his sophomore campaign by leading the Steelers in catches and receiving yards with 111 catches and 1,426 yards. James Conner on the other hand, didn’t do a whole lot in his first season, as he largely was a pure backup to workhorse Le’Veon Bell. In his second year however, Conner was given the keys to the car in Bell’s absence, and he took full advantage. Conner rushed for nearly 1,000 yards through 13 games, and added another 500 receiving. He also averaged a touchdown per game on the year. Many of the other names on this list haven’t received much playing time up until this point, but are still key players moving forward. As of now Josh Dobbs is the backup to Big Ben, Sutton has played a key role on special teams, and the only one not still on the roster is Holba. This was a phenomenal draft class for the Steelers even if some of the other names never develop into full-time players. Grade Analysis: Many people may criticize having this draft class graded so highly at a B-. However, even though their first round pick (Artie Burns) has been a bust up until this point, there are some quality players from this class. Sean Davis has been someone who has been blamed more often than he deserved by most fans. Davis’s play has improved over each season, largely due to him switching to primarily a free safety after his rookie season, and he proved to be a quality member of their secondary. Javon Hargrave was viewed as a boom or bust type player when he was selected, and he appears to have been a big win for the Steelers. Hargrave has started 39 games over his three year career, and has emerged as one of the top nose tackles in the league. The only other player worth noting in this class is Tyler Matakevich, as he has become a solid special teams player for them. Matakevich was viewed as a mid-round pick by many leading up to the draft, but fell to the Steelers in the final frame. Getting a core special teams player out of a seventh round pick is definitely a win. Overall, this draft has definitely helped improve the Steelers roster, especially if Burns can salvage his career next season. Grade Analysis: The 2015 draft class for the Steelers is their worst in recent memory. Only two members remain on their roster, and none of them have made a positive, lasting impression up until this point. Their first round pick, Bud Dupree, was expected to be the next elite pass rusher for the Steelers, as he posses elite athleticism. However, Dupree has yet to develop his pass rushing moves to make him the threat the Steelers have wanted him to become. He is still on the roster, and he is a very good run defender, but he isn’t quite what they wanted… yet. Their next three picks, Golson, Coates, and Grant, all were off the team before the start of their third season. Jesse James is someone who has been a consistent contributor for the Steelers over the past four seasons, but never developed into much more than a serviceable receiving threat with above average blocking skills. He has now went elsewhere via free agency. Anthony Chickillo, along with Dupree, is the only other member of this class still on the roster. Chickillo has been one of the better special teams players around the league, and has been serviceable in limited action on defense. As a sixth round pick, drafting Chickillo is definitely considered a win. Overall, there have been some contributions from this class, but nothing close to what you want out of an entire draft. Grade Analysis: The 2014 draft class for the Pittsburgh Steelers yielded two high-impact players in Ryan Shazier and Stephon Tuitt. Unfortunately for everyone involved, Shazier suffered a likely career ending injury during the 2017 against the Cincinnati Bengals. Shazier suffered a spinal injury that left him without feeling from the waist down. 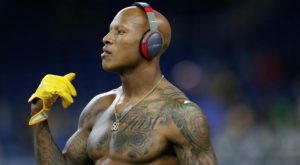 Remarkably, Shazier has made tremendous progress in his rehab, and plans to eventually return to the field someday. Regardless if that happens, Shazier was one of the top linebackers in the league before his injury. He used his elite speed to work sideline to sideline and was a nightmare for opposing offenses. Stephon Tuitt is also someone who keeps offensive players up at night, as he has developed into a top of the line offensive lineman. Tuitt has great strength at the point of attack, and deceptive quickness which he uses to cause havoc in the opponents backfield. He doesn’t get the counting stats many players get due to defensive scheme, but he still makes a tremendous impact on the field. 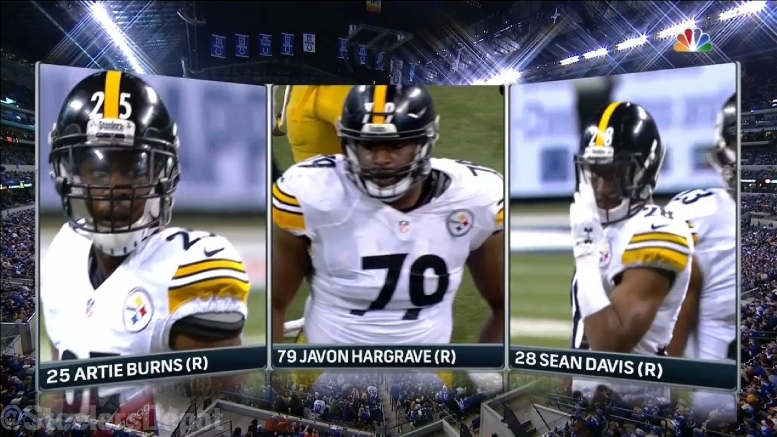 Only one other member of this draft class is still on the Steelers roster, and that is Daniel McCullers. McCullers hasn’t made a huge impact for the Steelers, as he has primarily served as a backup/rotational nose tackle for them. One other player in this draft class worth mentioning is Martavis Bryant. Bryant definitely was a boom or bust player coming out of Clemson, and in his three seasons with the Steelers he definitely flashed his potential, despite missing a year due to a suspension. Bryant operated as one of the better deep threats in the league for the Steelers, but due to his consistent off the field issues, was traded to the Oakland Raiders, who surprisingly gave up a 3rd round pick to acquire his talents. Overall, this draft class yielded two start players (even with Shazier’s injury), and another player netted the Steelers a 3rd round pick. Overall, that is a pretty successful draft class. Grade Analysis: The 2013 Draft Class has several noteworthy names, but only one remains on the roster, and that is linebacker Vince Williams. Vince Williams came in as a sixth round pick, and has really developed into a solid starter. Williams always has defended the run well, as he is an old school thumper in the middle. Over the years however, he has become a very good pass rusher up the middle, and made strides in coverage. 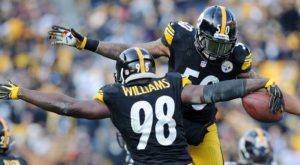 Williams has also embarrassed more responsibility, as he rarely leaves the field now with the injury to Ryan Shazier. Le’Veon Bell was another good pick to come out of this draft class. Bell was viewed by a reach by many at the time, but he shed some weight and became one of the best, if not the best, running back in the league. He possesses a very unique patience when attacking the line of scrimmage, that has now been mimic’d by others. He also was great in the passing game, as he is an elite pass protector, as well as a tremendous receiver. Unfortunately, Bell left this year via free agency, after sitting out last season on a holdout. Of the other names on the list for the 2013 draft class, Landry Jones was the most successful, which isn’t saying much. Jones spent five seasons as the backup to Ben Roethlisberger, and was serviceable when forced into action. He was released before the start of last season as he lost the battle to Joshua Dobbs. Jarvis Jones was viewed as a steal on draft day, but he never developed into the great pass rusher they hoped he would. 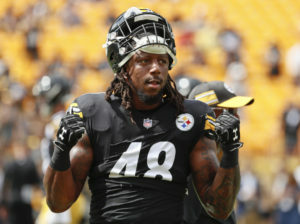 He wasn’t resigned after his rookie deal by the Steelers, and he never made another regular season appearance after that. Markus Wheaton had a disappointing career as well, as he was expected to replace Emmanuel Sanders who left via free agency after the 2013 season. He never was able to replicate Sanders production however, as he couldn’t put it all together for the Steelers. Thomas was a special teams standout, but wasn’t retained after his rookie deal other. Overall, this draft class wasn’t what the Steelers had hoped, but there was a silver lining. Have a favorite draft class from the past few years? Comment below!